Starting from an article I have stumbled upon, I began wondering what do the most used e-commerce platforms bring to their users. Which one suits what needs, and which one to choose should you consider opening and managing an online shop. So, I have decided to do some research in trying to get answers to all these questions. So, why top e-commerce platforms in 2016 ? I think that since 2017 is at its’ beginning, it might be a bit too early to launch in predictions. According to the article linked above, the top 5 ecommerce platforms for 2016 were: Shopify, Woocommerce, Magento, Yo!Kart and BigCommerce. I have found it odd that until this article I haven’t heard of the two not so popular platforms featured in the article: Yo!Kart and BigCommerce. 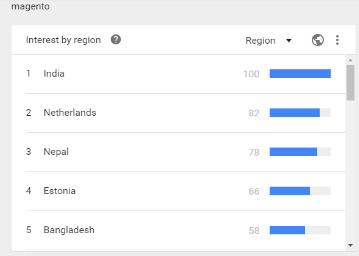 A search on Google Trends, reveals that I am not the only one. 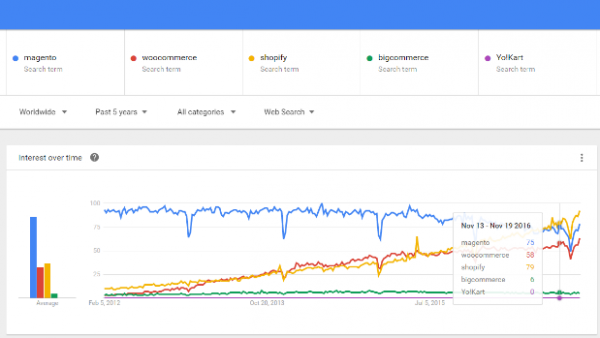 Figure 1 – A comparison of Shopify, Woocommerce, Magento, Yo!Kart and Bigcommerce platforms. So, this article got me thinking, which are the top 5 e-commerce platforms for 2016, according to popularity and interest, and which one suits your needs? Let’s see! It took a little digging, but it seems like the old-time favorites haven’t changed in popularity. These are: Magento, Woocommerce, Shopify, PrestaShop and Opencart. 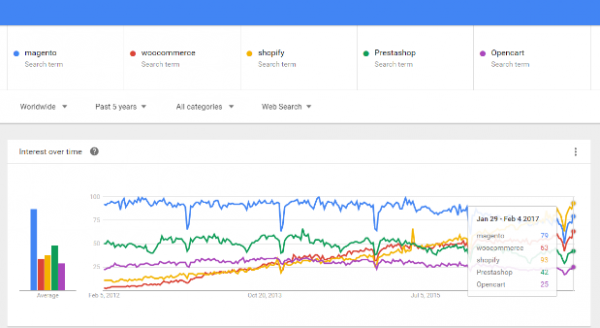 Figure 2 – A comparison of Magento, Woocommerce, Shopify, Prestashop and Opencart platforms. 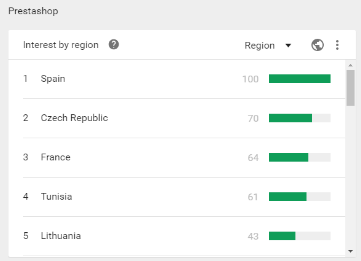 Another interesting thing is that by using Google Trends, you can see the interest for each platform, according to regions. 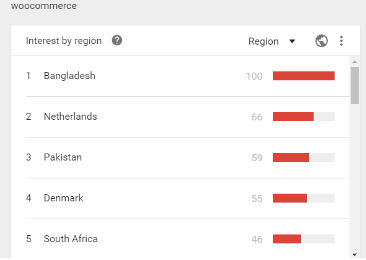 Magento seems to be very popular in India and The Netherlands, Woocommerce in Bangladesh and Netherlands, Shopify in Canada and Singapore, Prestashop in Spain and Czech Republic, and Opencart in Ukraine and Bulgaria. At the end of this article, you will be able to see the top 5 regions of interest for each platform. Magento is an e-commerce platform built on open source technology which provides online merchants with a flexible shopping cart system, as well as control over the look, content and functionality of their online store. The platform offers powerful marketing, search engine optimization, and catalog-management tools. Magento Community Edition is free, but it also offers the possibility to buy an Enterprise Edition, which comes with more enhanced features. WooCommerce is an open source e-commerce plugin for WordPress. It is designed for small to large-sized online merchants using WordPress. Launched on September 27, 2011, the plugin quickly became popular for its simplicity to install and customize, and free base product. Shopify is part of a group of turn-key e-commerce (aka “hosted e-commerce”) solutions that provides everything you need from end to end (minus the product and business know-how) to setup and start selling your product(s) to the world in contrast to you putting all the pieces together yourself. PrestaShop provides more than 250,000 online store owners with an e-commerce software with hundreds of tools to build and manage an online store at no cost. Add-on modules extend the software built-in functionalities. Users may install modules directly within the software administration panel or develop their own. OpenCart is a free open source e-commerce platform for online merchants. OpenCart provides a foundation from which to build an online store. This foundation appeals to a wide variety of users; ranging from web developers looking for a user-friendly interface to use, to shop owners just launching their business online for the first time. OpenCart has an extensive number of features that gives you a strong hold over the customization of your store. An interesting note I would like to add in regards to Opencart is that the platform has faced widespread criticism in 2013 for its use of MyISAM tables, dated coding practices and a perceived lack of code quality, and Kerr himself (Daniel Kerr, a UK-based developer founder of the modern Opencart PHP written platform) faced criticism after an angry response to the article. OpenCart has also faced criticism for its poor security practices, and Kerr’s combative responses to security disclosures. In part II of this article, I will elaborate more on the strong and weak points for each platform. 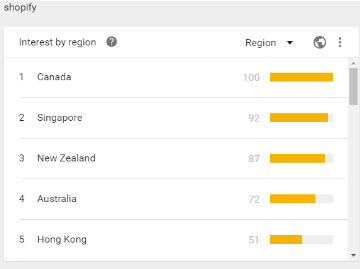 Meanwhile, you can have a look at the top 5 countries for each platform according to Google Trends. Figure 5 – Opencart interest by region. 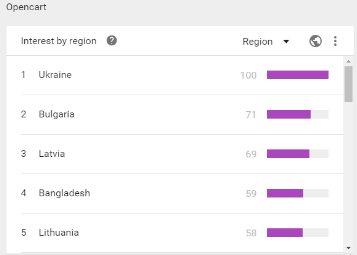 Figure 6 – Prestashop interest by region. Figure 7 – Shopify interest by region.